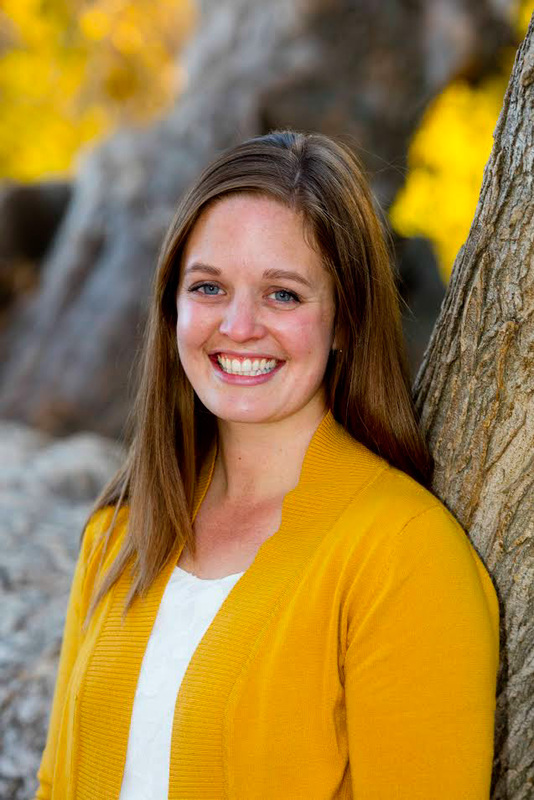 I look forward to LDS General Conference every six months. My heart is always uplifted and I walk away with renewed desire to be the best disciple of Christ, person, wife and mother I can be. Conference weekend is beautiful and uplifting and at the same time it's often like trying to take a drink from a fire-hose. So many beautiful words are shared, so many scriptures and older talks that I want to study in the future, and I am blessed with ideas for helping my family, serving better in my calling and all areas of my life. I created this journal as a way to organize thoughts and information as I listen to Conference. It is intended for teens and adults who want to take notes as they listen to Conference. It's not a coloring packet intended to keep little hands busy for a few minutes, but a resource to help you record insights and inspiration. 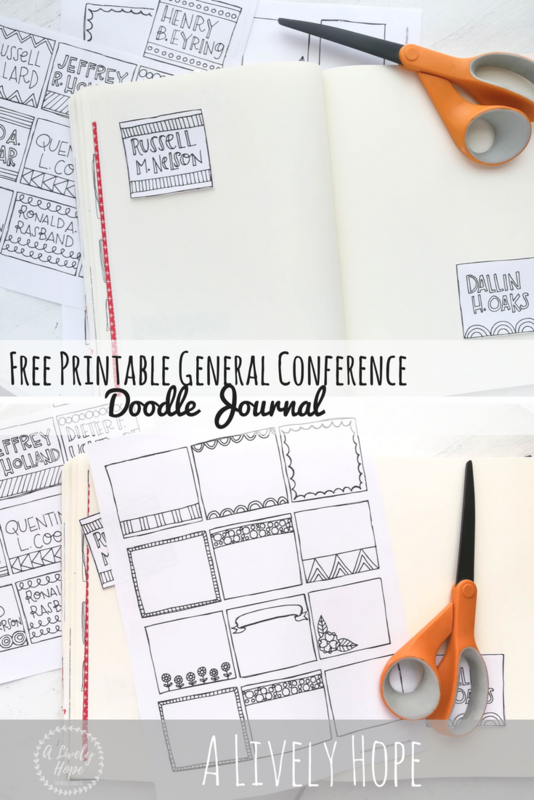 This printable features hand-lettered boxes for each of the people speaking in General Conference, as well as some fun doodles to color as you listen. 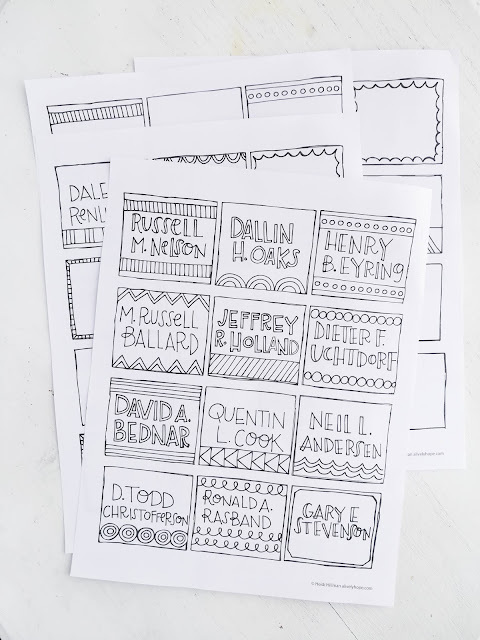 Because we don't know beforehand who will be speaking, aside from the First Presidency and Quorum of the Twelve, I have included a couple of pages of blanks boxes as well. I like to include embellishments like this in my scripture journal, and I doodle and take notes all around the labels as the speaker is talking. Though if this seems daunting to you, you may like my simple (and free!) LDS General Conference Journal for Busy Moms. It's a simplified way to take notes if you're in the midst of chaos while trying to listen to Conference. 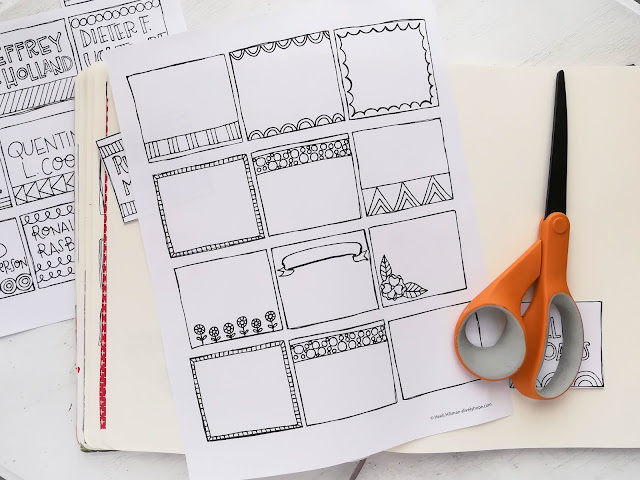 A quick and easy way to jot down inspiration to go back to study in- depth later. 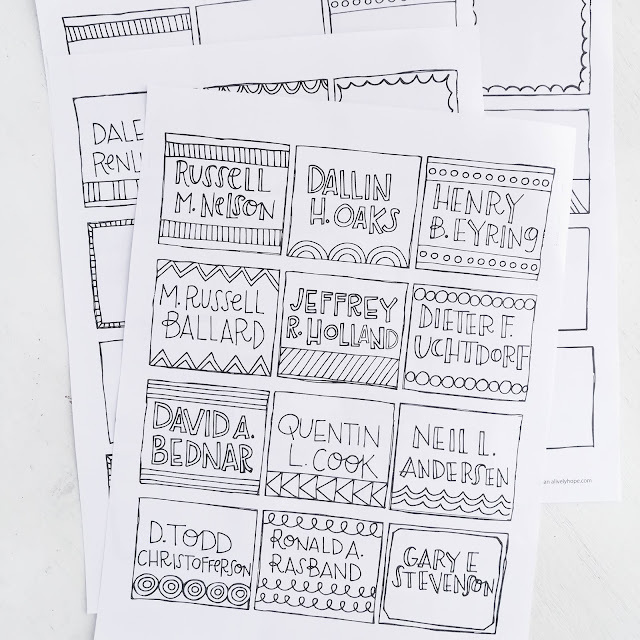 Print all the pages (you'll need to print extras of the blank doodle boxes in order to have enough boxes for all the speakers). 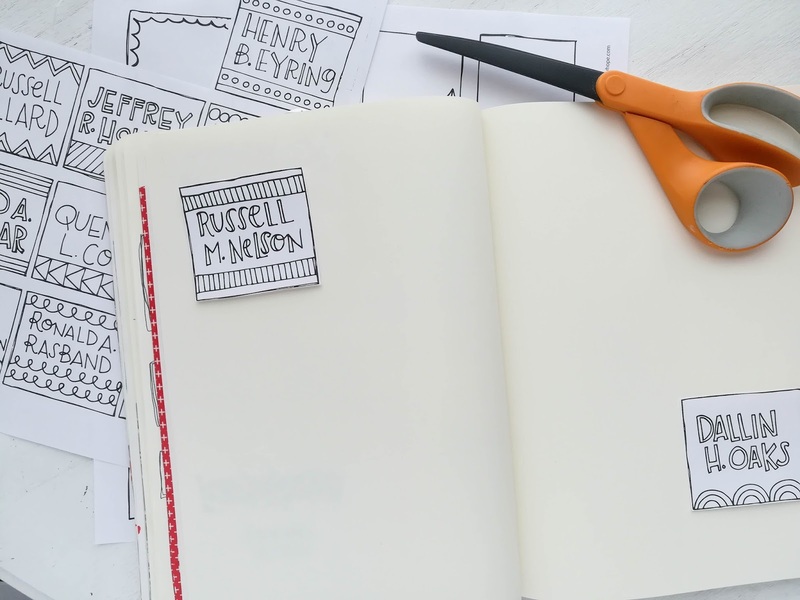 Cut out the name boxes and paste them into your scripture journal or other notebook. Write in the names of the additional speakers (those who are not in the First Presidency or Quorum of the Twelve). Add your notes from each speaker around their specific name box. Color in the boxes as you go, just for fun. Fill in your favorite quotes and insights as you listen.